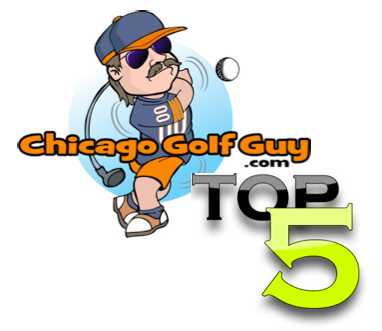 The Chicago Golf Guy June 10, 2013 June 11, 2013 Just Golf Stuff! I wanted to dedicate the first blog post in quite a few weeks to say that I am sorry I have been gone so long, and I promise to write a lot more. Without all the excuses, I have been horribly busy with starting a new job, getting married, planning a wedding (although the Mrs did pretty much everything), and then preparing for the honeymoon, which I am currently on. I am writing this newest blog post to you from Hawaii’s finest resort on the North Shore of Oahu Turtle Bay. Without sounding too corny, I do not know what to say, it is such a beautiful day right here at Turtle Bay. I promise never to rhyme again. I also promise to write at least once a week on the blog and keep you guys posted on some of the great golf ideas I have been writing down in my golf journal, which is just the notes section of my iphone. Just a little taste of what is to come: I recently got to play both courses at Olympia Fields C.C. a few days before my wedding, I took a trip up to Erin Hills in Wisconsin home of the 2017 US Open and 2011 US Amateur, I bought some killer leather head covers from Stitch, I got my hands on a limited edition Jones walking bag, I designed one new putter cover, and got more of the Chicago Flag covers in (but I call them Chi town flag putter covers 2.0), I got an official sponsorship by the guys at Chicago Style Golf, who are actually paying me to continue my work blogging about everything golf in Chicago and not just paying me to write golf propaganda about how great they are, plus tons more golf stuff that I cannot even begin to tell you about as I have so much to write. All in all I just wanted to say thank you for continuing to read my blog, and to stay tuned for a epic summer of golf blog posts from the Chicago Golf Guy. And remember if you have any golf course you want me to check out, or need some tips on where to play, or you bought a cool new golf thing a ma bob and you want me to write about it…just shoot me an email, hit me up on facebook, send me a tweet, or just click the contact me page at the top of the site. Thanks for stopping by and keep on swinging.